After years of speculation and rumors, it’s finally here. 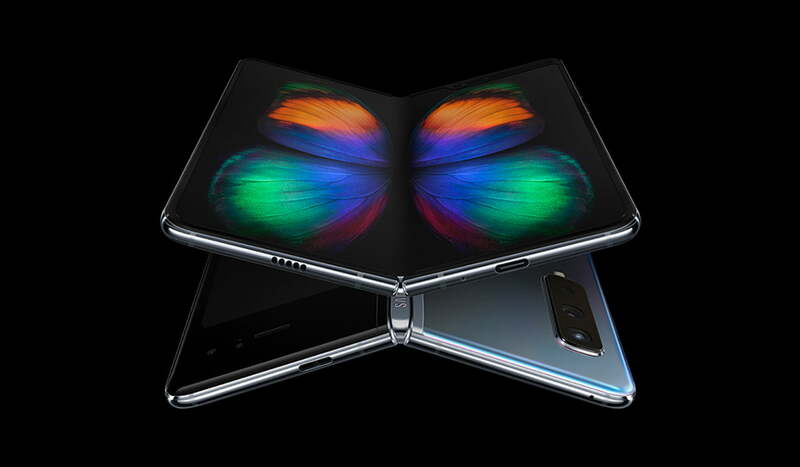 Samsung has finally announced the Galaxy Fold, its first official foldable phone – and one that has been in the headlines since SDC18. 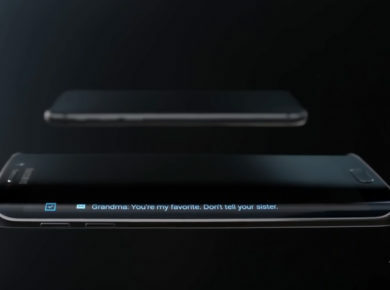 Last year, Samsung gave us our glimpse of this futuristic phone in a protective case at the SDC18 keynote. Now, the foldable phone is out in all its glory, but it’s the most expensive devices in Samsung’s Galaxy lineup. With Galaxy Fold, Samsung is diving into a whole new category of smart devices – it’s a smartphone and tablet folded into one luxurious hybrid device. The Galaxy Fold is the company’s first phone to come with a whopping 12GB of RAM. Instead of one display, it has two different screens with different resolutions. There are five cameras on this humongous combination of tablet and phone: three rear, one cover camera, and dual front-facing cameras available when users open the fold. The phone is powered by Samsung’s latest 7nm 64-bit Octa-core processor. The Galaxy Fold features both a larger 7.3-inch Infinity Flex Dynamic AMOLED panel with 1536×2152 pixels and a smaller 4.6-inch HD+ Super AMOLED panel with a 840×1960 pixel resolution. The Fold also comes with 512GB internal storage but doesn’t have a microSD slot. The foldable phablet is running Samsung’s One UI on top of Android Pie 9.0. Currently, there is no flexible battery on the market, so Samsung has placed separate batteries on each side of the phone. The batteries’ combined energy capacity is 4,380mAh. Samsung’s senior vice president of product marketing, Justin Denison, said in the keynote that the batteries are adjusted in a way that balances the design, and engineers were able to combine their power to make this gorgeous device work. There are a total of six cameras in the Galaxy Fold – three rear cameras, two inside selfie cameras, and one cover camera. The rear cameras include a 16MP Ultra wide camera, a 12MP camera with OIS and wide angle lens, and a 12MP telephoto lens with OIS for stable shots. Samsung is using the same sensor in the Galaxy Fold that we see in the other Galaxy S10 phones (Galaxy S10’s 5G variant has a slightly different configuration of six cameras). Other than multiple cameras and a foldable screen, Samsung was proud to share how their foldable display can be used for multitasking. It can run up to three separate apps at once. That’s where an Android development team came in handy – to make sure that the apps worked smoothly along with the flexible display. In November, Google announced native support for flexible and foldable display devices. Samsung and Google worked closely to make this foldable phone work. Just like the foldable display, the sophisticated hinge system is another impressive technological advancement. Users can fold their devices hundreds of thousands of times without breaking it. 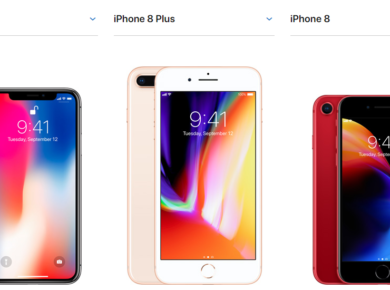 The company has been working on these screens for years, and now they’re finally ready for consumers. Granted, foldable phones seem to be a gimmick for now. Even Samsung is unsure about how the device will be used. The foldable phone will be available to consumers in April, starting at a mind-bending $1,980. It’ll be more expensive than most laptops on the market. But Samsung acknowledges that the Galaxy Fold is a luxury device. So, what do you think? Is it a gimmick or a groundbreaking device that will change the way we use smartphones in the future?